WE’VE HAD to analyse what happened to the Note and bounce back with a fully, fledged newest addition,” says Craige Fleisher, Vice President of Integrated Mobility for Samsung South Africa. 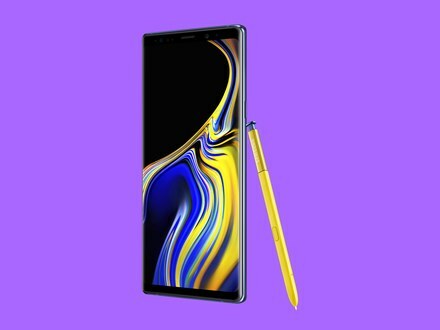 All new Samsung Galaxy Note 9 that was launched globally recently. He spoke exclusively to this reporter at the launch of Samsung Galaxy Note 9, that was beamed live worldwide. And according to Fleisher, they had to invest financial resources to improve on security in the form of doing everything internally to avoid the backlash that came with the controversial Note 8 battery issues. “We’ve learnt our lesson but as you can see this is a game-changer, new beginnings and new innovation by our company,” said the dapper looking Fleisher. It targets professionals, it empowers people to embrace collaborative, open and highly-customizable technology, with security built-in. It boast the magical, gold S-Pen that can be used as a remote. The S-Pen features Bluetooth Low-Energy (BLE) that makes it even more powerful: you can use your S Pen as a clicker to move through a PowerPoint presentation, without the need for a mouse when in DeX mode. And new customized clicks make it easy to quickly launch an app or take a photo. The Bluetooth controller that is the S-Pen, surely, can still write notes, draw stuff, and scribble a memo even when the screen is off. Has more speed and power, a cutting-edge 10nm processor with the fastest network speeds available in the market with up to 1.2 gigabits per second, meaning users can download and stream content without any lag. Samsung Galaxy Note features 6.4” Infinity Display that means its not only perfectly engineered but also beautifully designed and of course, comes with most powerful camera meaning the dual aperture works like an eye, adjusting to any light so your team can take stunning pictures anytime and anywhere. The battery life 4000mAh means much improved power for users- so recharging constantly that battery could be a thing of the past. Samsung also went ahead and made a deal with Epic Games—the people who developed Fortnite, the epically popular multi-platform game. At the launch, we had an opportunity to play and fiddle with it-under guidance from Samsung team. Has big phones got better-looking, well Samsung has gone that route? 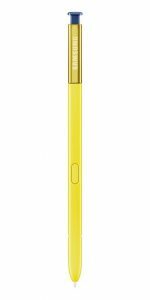 It is available in Midnight Black, Metallic Copper with matching S-Pen and Ocean Blue with a vibrant Yellow S Pen. However, should you lose the pen and replace it- will be at your own cost. This model will be priced at a recommended retail price of R18,999. 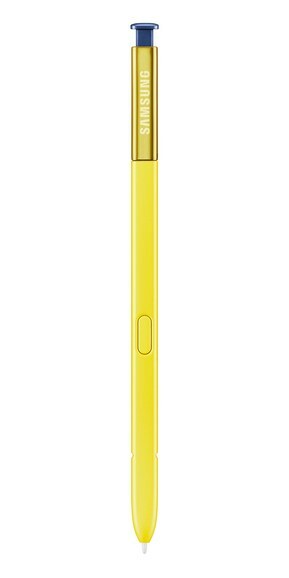 ‘Mightier than a sword’ the magical S-Pen that comes fitted in the Note 9. Samsung’s new Galaxy Watch is also set to launch in South Africa, with the non-LTE variant available in September. It will be priced from R5,499 – R6,499. Samsung said it is working closely with multiple mobile operators to launch the LTE-enabled model by the end of 2018.